Two past Silver Crown champions in Kody Swanson and Chris Windom will make their debut appearances at Memphis, while both are making their debuts with new teams. Kingsburg, California’s Swanson, the winningest driver in series’ history, has won four of the last five titles for DePalma Motorsports. With the closure of that team, Swanson has moved over to Nolen Racing. Meanwhile, Windom, the 2016 Silver Crown champ from Canton, Ill., has switched seats from Nolen Racing to Goodnight Racing for an attack at another title. 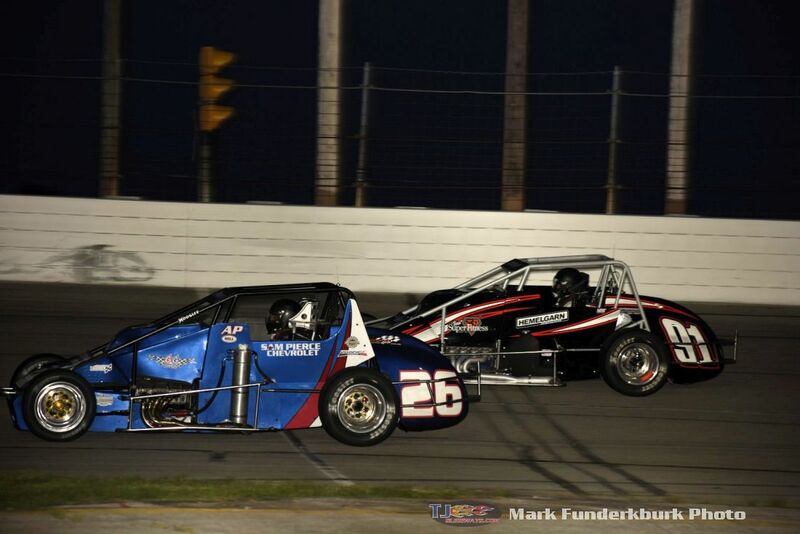 More than one-third of the lineup owns a victory in Silver Crown competition during his career, including Swanson’s series-high 24 and Windom’s eight. Franklin, Massachusetts’ Bobby Santos ranks in the top-ten on the all-time Silver Crown win list with 10. Aaron Pierce of Muncie, Ind. has taken the checkered three times. Greenfield, Indiana’s C.J. Leary won the second and most recent of his career in last year’s finale at Eldora. Justin Grant of Ione, Calif. has scored twice in the Silver Crown division and, like Leary, both came on the dirt. David Byrne (Shullsburg, Wisc.) and Eric Gordon (Fortville, Ind.) are each looking to notch Silver Crown victory number two. 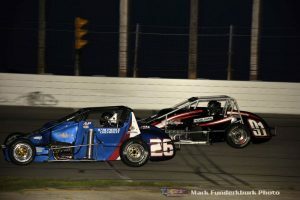 Santos, Pierce and Gordon are among four drivers in the field who hold previous Silver Crown experience at Memphis, alongside Plainfield, Indiana’s Bill Rose. Rose has also claimed two career USAC AMSOIL National Sprint Car victories and is one of nine drivers in the lineup to have tallied in that division as well as Leary, Windom, Swanson, Santos, Pierce, Gordon, Grant and Kevin Thomas, Jr.
Cullman, Alabama’s Thomas is one of four drivers making their pavement Silver Crown debuts along with Pleasant Valley, New York’s two-time American LeMans Series champ Chris Dyson, Ellisville, Mississippi’s Joey Schmidt and Prince George, British Columbia’s Jason Conn. The latter two, Schmidt and Conn, are aiming to make their first starts with the series Saturday at Memphis. 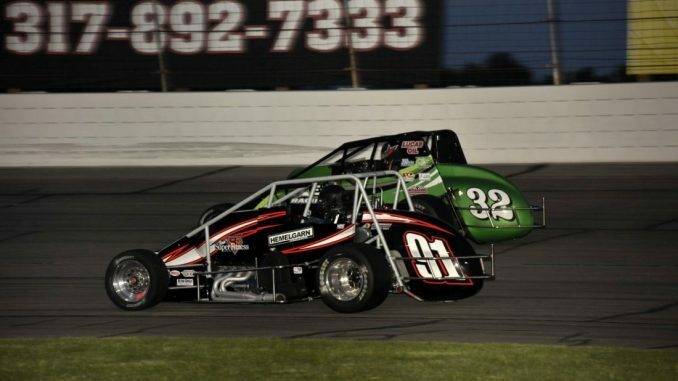 The remainder of the field consists of winners and veterans from the racing world, including two-time USAC NOS Energy Drink National Midget feature winner Kyle Hamilton of Danville, Ind., who earned 2012 Silver Crown Rookie of the Year honors. Last year, New Castle, Indiana’s Kyle Robbins was the top-Rookie in the series, finishing sixth in the standings. Pendleton, Indiana’s Travis Welpott took seventh in last year’s points while Levittown, Pa.’s Mike Haggenbottom was 11th. Top-ten points finishers from 2018, Matt Goodnight (8th) from Winchester, Ind. and Austin Nemire (10th) from Sylvania, Ohio are entered for Memphis along with a group of relative Silver Crown newcomers in Cody Gerhardt (Fresno, Calif.), Cody Gallogly (Pataskala, Ohio), Jim Anderson (Joliet, Ill.) and Derek Bischak (Angola, Ind.). The “Memphis 100” will be streamed LIVE on http://www.FloRacing.com.